Today in Masonic History James Topham Brady passes away in 1869. James Topham Brady was an American lawyer. 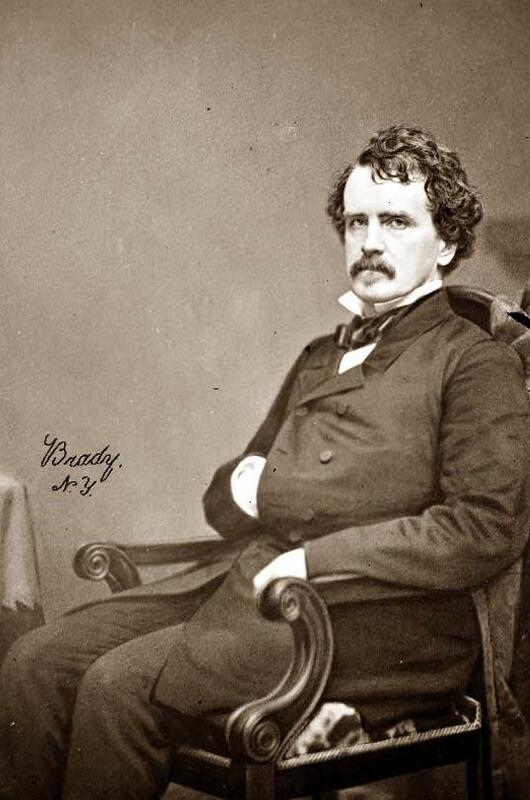 Brady was born on April 9th, 1815 in New York City, New York. He was the oldest of 8 children, three boys and five girls. Brady would never marry and when a friend asked why he said "When my father died, he left five daughters who looked to me for support. All the affection I could have had for a wife went out to those sisters; and I have never desired to recall it." Prior to his father's passing Brady's father ran a school which Brady attended. In 1831, Brady's father left teaching and became a lawyer. Young Brady worked in his fathers office studying the law and working to manage his fathers firm. Sometime around 1835 and 1836, Brady was admitted to the bar in New York. The first case he tried was an insurance claim and he went up against a prominent lawyer of the time. Although he lost the case, Brady established himself as being proficient in the law and in oration. Brady got his first taste of legal notoriety when he worked under Daniel Webster on Goodyear V. Day case. A patent case between Charles Goodyear and Horace Day over the use of Goodyear's patent to vulcanize rubber. Brady delivered the opening arguments for the plaintiff. Brady is best known for his work in Criminal Proceedings in the Eastern United States. One of his most famous cases was the defense of Daniel Sickles who had shot his wife's lover, Phillip Barton Key, son of Francis Scott Key. In the case Brady was Chief Counsel. Sickles used the temporary insanity plea, now known as a crime of passion. This was the first time in United States history that this defense was used. He also defended Lew Baker who shot the infamous William "Bill the Butcher" Poole, leader of the gang the Bowery Boys and the Know Nothing political party. Through his career he handled 52 cases and only lost 1. Politically in the 1840's he claimed to be a Democratic, although was largely disconnected from politics as a whole. He was appointed to a couple of legal positions in New York, but was never successfully elected to any office. During the American Civil War, Brady became a strong support of President Lincoln and the Republican Party. He held a deep disdain for Southern politics and policies. On February 7th, 1869 Brady's left side became paralyzed. Two days later on February 9th, 1869, Brady passed away. Brady was made a mason on sight on in 1866 by the Grand Master of the Grand Lodge of New York. He was a member of Ivanhoe Lodge No. 610 in New York.